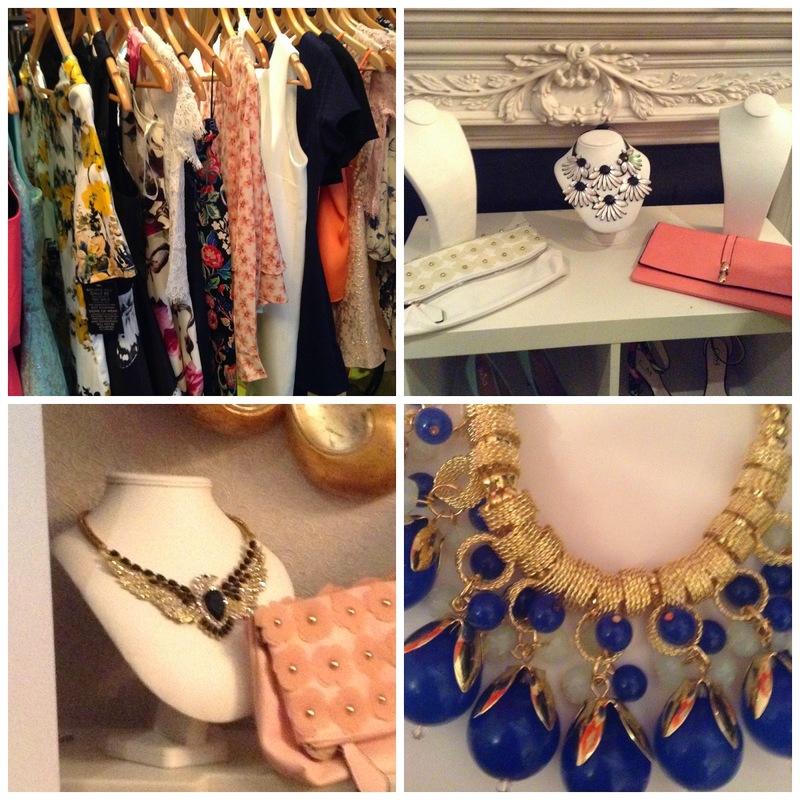 So Polished Ireland: Saphir, GOSH & iClothing SS15 Event! Saphir, GOSH & iClothing SS15 Event! 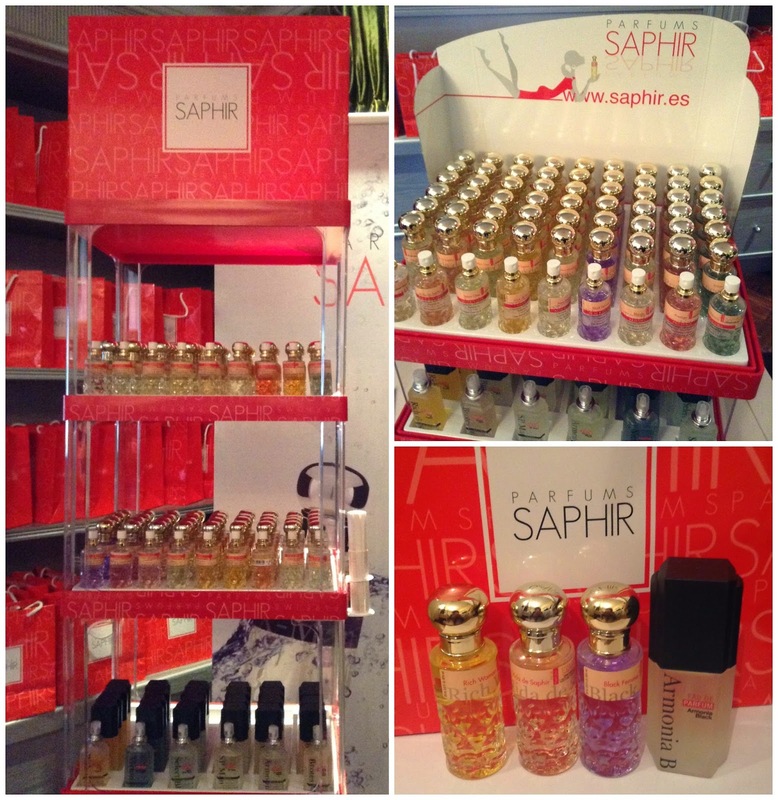 I was invited to the SS15 Preview with Saphir Perfume, GOSH Cosmetics and iClothing, which took place last Wednesday. I had some time between classes, so I popped in for around an hour to have a look around. I started off with Saphir Perfume. I've seen this brand in my local pharmacy, but wouldn't really have noticed it if I hadn't received an invite to the event a few days prior. I didn't know a lot about the brand, but I talked to Catherine from Saphir for a while and she told me all about them. Saphir is a Spanish brand, that sells perfumes that are dupes for some of our favourite designer fragrances, but at a fraction of the price, using almost 100% the same ingredients. They have 70 different scents, and even provided a dupe list. For example, in my goodie bag I received Rich Woman, which is a dupe for Paco Robanne's Lady Million, Vida de Saphir, a dupe for Vie Est Belle Lancome, and Black Femme, which dupes Armani Code. I also got Armonia Black, which dupes Armani Code for men, which I will be giving to my dad. Each 30ml bottle only costs €7.99, which is an absolute steal! For a full list of stockists, go here. 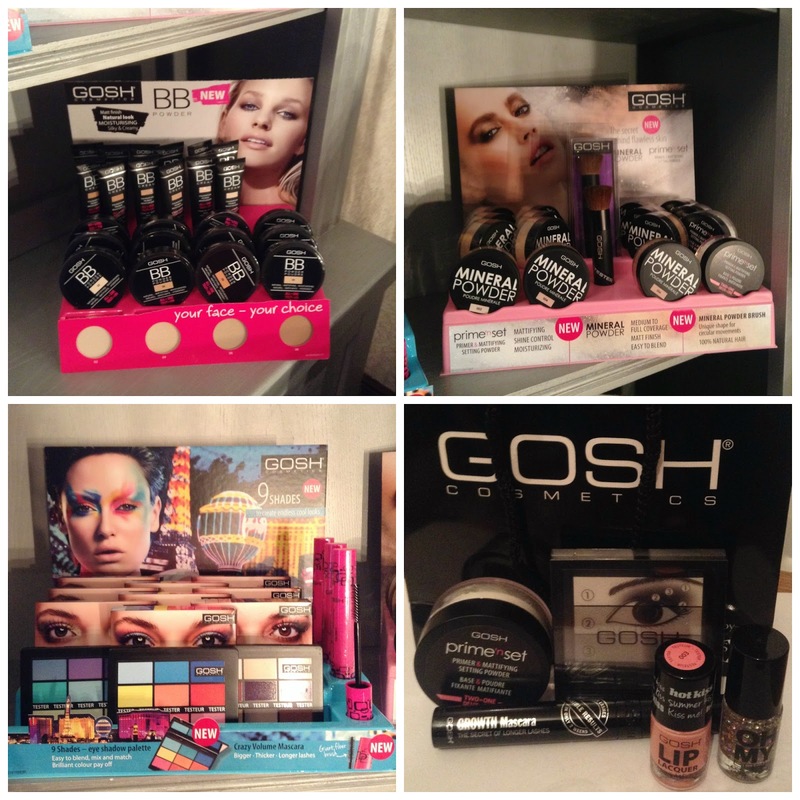 I had a look at GOSH next, and had a chat with their makeup artist Judy, who showed me some of their newer products. They have some lovely colourful eyeshadow palettes coming out, a new BB cream, and some new powders. Judy let me try some of the prime 'n set powder out on my hand, and I was amazed at how silky smooth it made my skin feel. Luckily, there was one in my goodie bag so I can have a play around with it! Speaking of the goodie bag, I got some really lovely products that I can't wait to try out. The nail polish is just gorgeous, I love glitters so much! I thought the lip lacquer was a nail polish too, and am really only noticing now that it is in fact a lip product. The mascara is something I'm especially excited to try out, as it is a growth mascara and promises to deliver results in two weeks! I'm going to start trying this out from today, I'll let you know how I get on in two weeks! Lastly, I had a peek at iClothing. They had some really lovely, colourful pieces on display, but the highlight were the necklaces, which were so gorgeous! While I was there, there were only two on display, but I saw some photos of different ones that other bloggers had put up from later on in the day. iClothing generously gave provided a necklace in each of their goodie bags, as well as a discount code (which I will be using to get another necklace, the bird ones are just too pretty!). Sadly, I had to leave after an hour to go back to college, but I had a great time at the event, and really enjoyed talking to Sarah and Catherine from Saphir, Judy from GOSH, and Fiona from iClothing, and having a look at all the pretty new things each brand has in store for SS15!